The best place to share gift wish lists with friends and family! 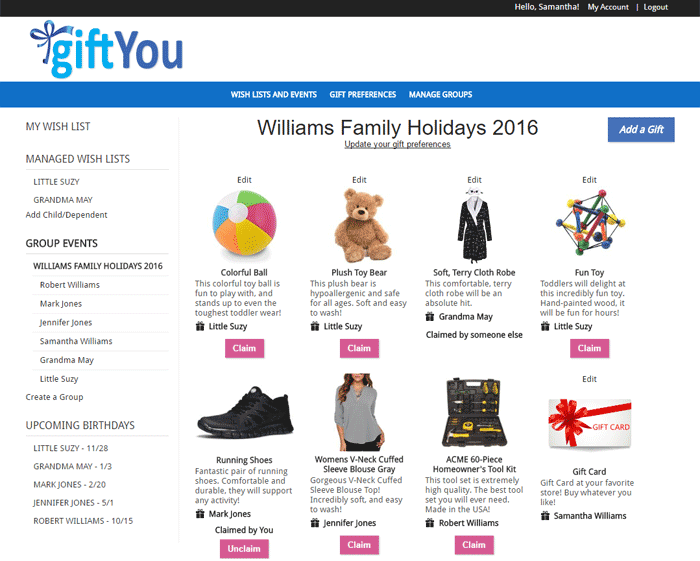 giftYou makes it easy for everyone to get the perfect gifts they really want. We make sure everyone knows those gifts are reserved by you, eliminating duplicate gifts! Take the stress out of finding the perfect gift.